Last June, BuzzFeed celebrated Pride Month by hosting a Queer Prom event, through which it overturned conventional gender norms that often play out at high school proms across the US. In a web series adjacent to the Queer Prom, BuzzFeed celebrated the stories of six of the LGBTQ+ teens who attended the event and relished its inclusive atmosphere. Now, Pride Month has rolled around again, and BuzzFeed is one again celebrating with a Queer Prom and an accompanying web series. The first episode of that show has now arrived on BuzzFeed’s YouTube channel and its Queer Vision Facebook page. 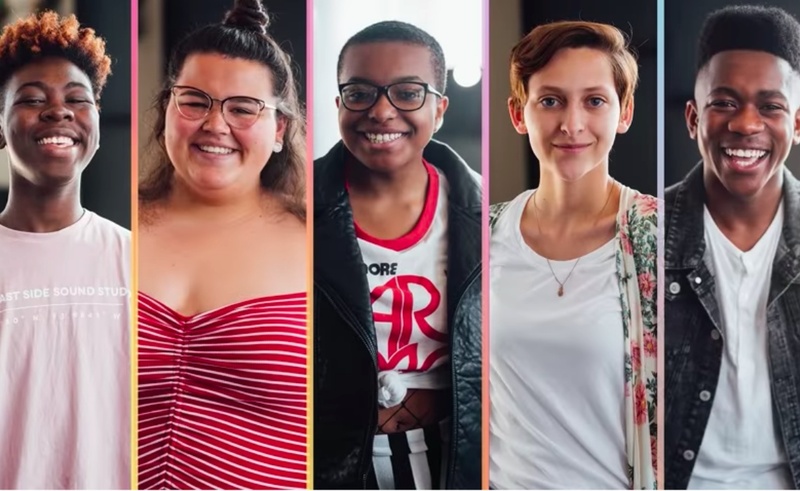 The Queer Prom web series, sponsored by Samsung, begins by introducing viewers to the five high school seniors who made up the Queer Prom Court for the 2018 edition of the event. The featured teenagers exemplify the diverse spectrum of LGBTQ+ individuals and hail from cities across the US. BuzzFeed’s Jazzmyne Jay Robbins and Curly Velasquez serve as the Queer Prom web series’ hosts. In a future installment, they will share dispatches from the event itself, which took place earlier in June in New York City. In total, more than 200 students attended the 2018 Queer Prom. And if YouTube comments are any indication, the event is only growing in popularity. It seems as if there are many more queer youths who would like to attend future iterations of the event once they reach senior year.